Impress the king with your tomfoolery and 5 reel skill and you could be promoted to a knight of the realm. Help the foolish joker find a series of numbers and letters and you will be able to steal the treasure from under the king’s nose. 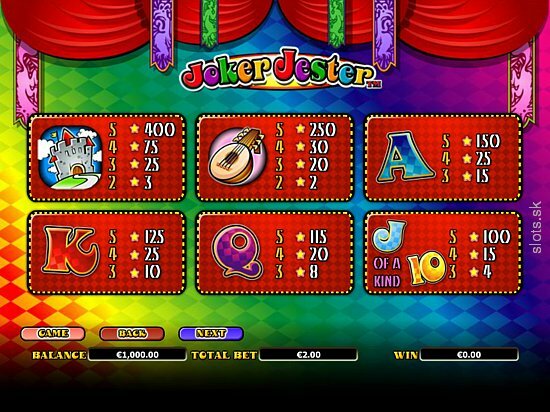 It’s an online slots filled with lies, humour and deception but after all, you are the Joker Jester. After 18 years of experience in the Casino industry, NextGen call themselves proud pioneers of platform-independent content delivery. They live by the concept of Attract, Entertain, and Retain, which is something they certainly have done for it to be nearly 2 decades of industry experience. They are an experienced developer of successful slot games for both online and land-based markets around the world. We love to play uk slot game online casino. Joker Jester is just one of those titles that has had much success for NextGen. Jesters have always been represented as a nuisance and mischievous but you will become very grateful for his intrusions in this game as he helps you to find you fortune! This 5 reel, 20 pay-line is accompanied by a cheesy rainbow colour theme which is bound to get you in the mood for this cheerful and playful themed slot-game. It appears the Jester is quite the clumsy and forgetful person, but this will work in your favour as he will reward you divinely for your efforts in recovering his musical instruments and the usual values of A, K, Q, J and 10 symbols spread around the courtyard. If you find 3-5 matching letters or numbers, the Jester will reward you between 4 and 150 times your stake. The minimum bet starts at just 1p and the max at just £2 so you can take great pleasure and fun, no matter how comfortable you feel with betting, NextGen creates an inclusive atmosphere this way. With his musical instrument, the lute, and the castle symbol, the Jester will reward you with multiple bonuses, depending on how many you match, read more. The game also offers a range of different bonuses that are a twist on the usual slot-games that you would have been familiar with in previous slot-games. The Juggle Bonus is triggered by 3 basket symbols, which will appear of reels 1, 2 and 3 and you will be asked to juggle eggs for prizes – the more eggs the grander the royal prize. There are also golden eggs which boost your winnings and no-lose safety levels which guarantee you a prize once reached – this is what makes it different from the other typical gamble features in the other slot-games so it is well suited for those who want to feel the rush of winning some money but not risk losing it all after dedicating time and effort into the game. 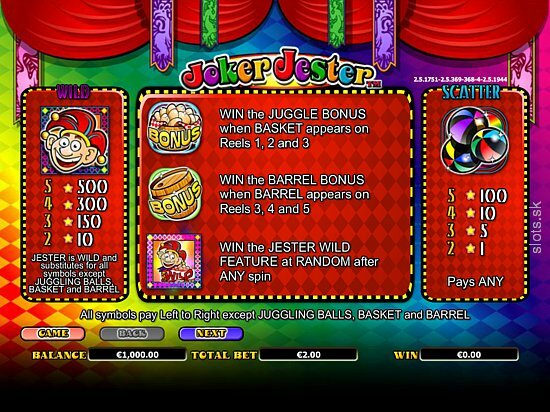 There is also the Barrel Bonus which is triggered when you match 3 barrels and as a result, you will be awarded prizes for choosing barrels until the Jester appears to stop the bonus – try and tell him a few jokes to see how long you can keep this screen up for! Finally, there is the Jester Jumping Wild when the Jester launches himself across reels, substituting certain symbols for wilds and boosting prizes. Laughs and enjoyment are guaranteed with this prancing jester as your companion as you seek a new fortune together. With spins starting at just 1p too, there is no reason to not come and enjoy the fun, especially with the surplus of bonus games that are on offer! 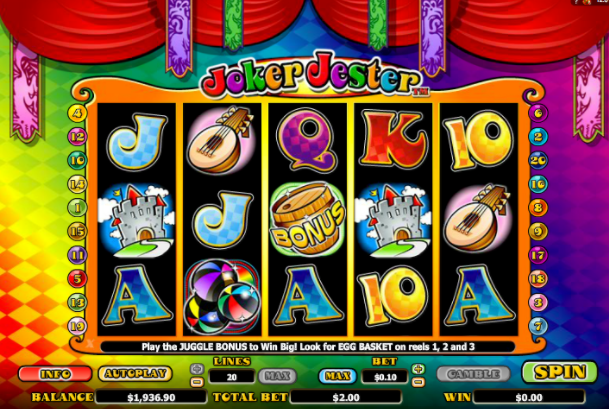 If you enjoyed Joker Jester you might also like to discover more Easy Slots game.